The decision to add some greenery to your home or office is always a good choice. The hard part comes in sifting through a million different planter ideas and deciding which ones are best for you. With options ranging from tiny and cute to larger and more classic, you are sure to find the perfect design just for you. To help you in this process, we have composed a list of 37 amazing planter ideas that will get you started to finding the one that is just right for you. Etsy is the perfect place to purchase any decorative item. Its vast array of options all but ensures you will find a unique piece, and its emphasis on handcrafted and homemade items gives whatever you purchase an extra special feel. With designs meticulously crafted at home or in small studios, in many cases you can also make special requests for specific colors or designs. The options are endless. Be sure to take your time to select a piece that is just right. Many of the below suggestions come in multiple designs and colors, which can help you create a whole garden of potted plants. Also, be sure to consider size. Most of these are petite options, which make them easy to incorporate anywhere. Take your time and buy a planter (or two!) that suits you. For the donut lover in all of us, this petite planter is perfection. Measuring a mere 1.5 inches, this planter is the perfect home for a single succulent. 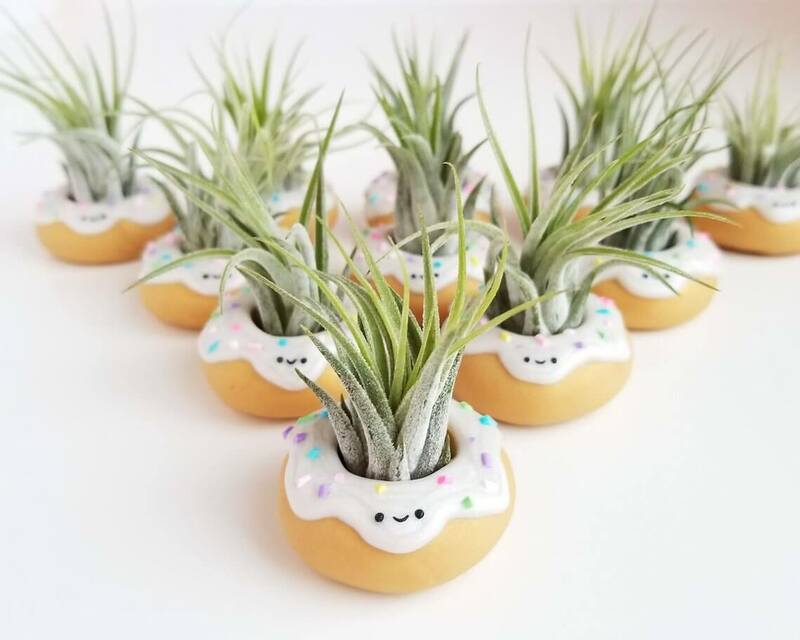 A great idea is to buy a whole dozen and create a mini donut garden for yourself. Just be sure not to take a bite! With multiple mini animals to choose from, you can create an entire zoo out of your petite succulent display. With each animal just big enough to hold one plant, it can be fun to get a variety of succulents and pair each one with a different animal for a fun and varied look. 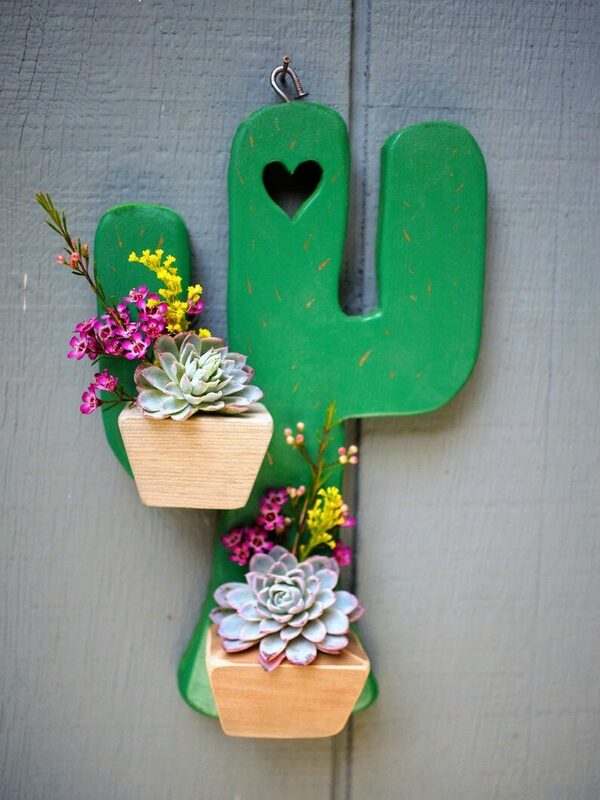 Embrace the desert nature of succulents by adding a playful cactus planter to the mix. 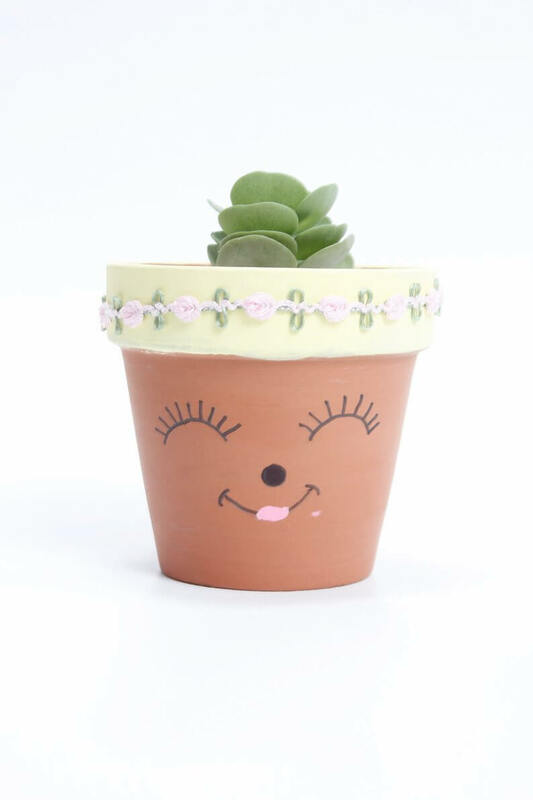 This cute two-pot planter hangs on the wall and will fit a small display of one succulent per planter, as well as maybe a few springs of desert flowers thrown in for a pop of color. 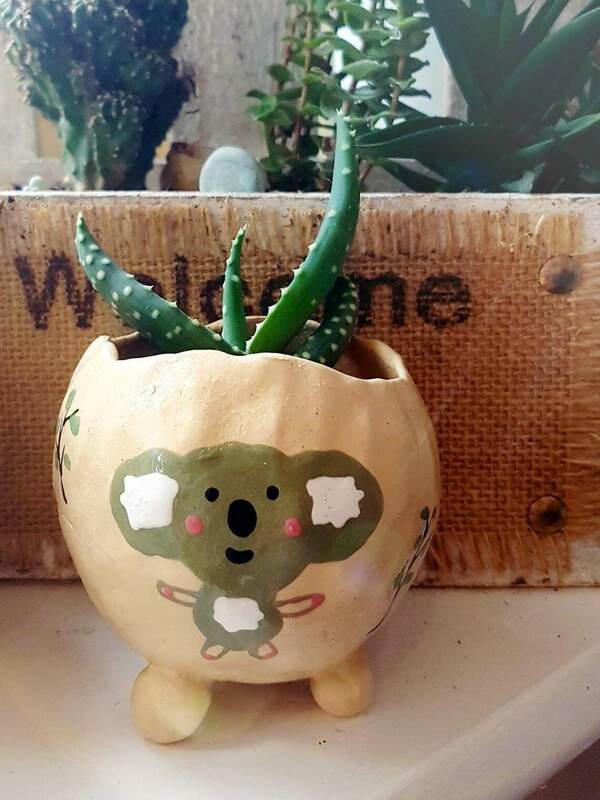 Hang this adorable small planter inside or add it to your garden. 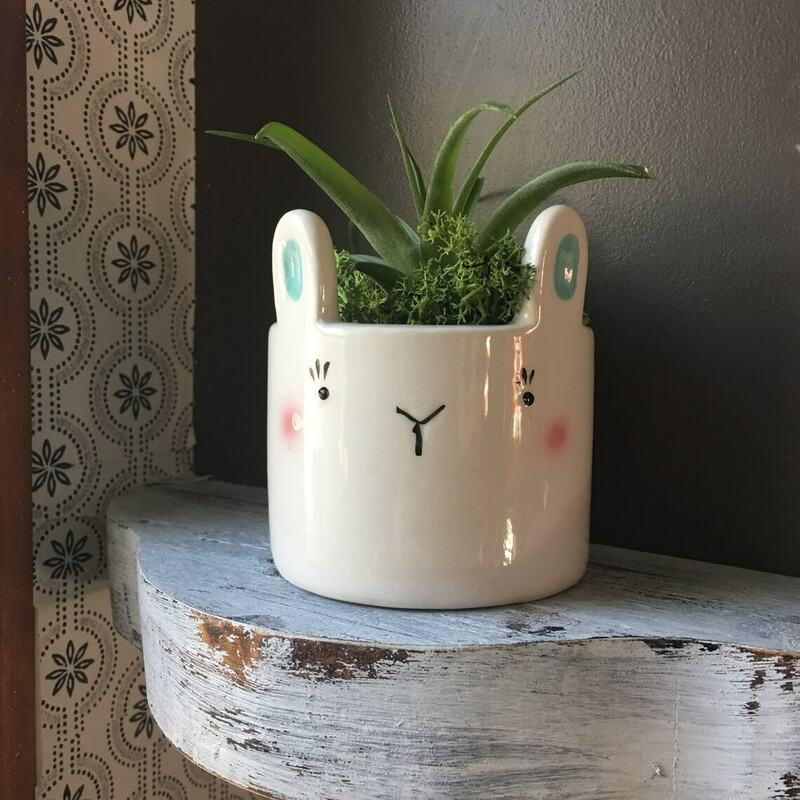 This super cute mini bunny plant holder is perfect to add a touch of springtime to your desk, table, or counter. The friendly little face is sure to brighten anyone’s day, and its adorable little ears add some dimension to its otherwise smooth surface. Consider this as a gift for a friend or maybe even just a gift for yourself. 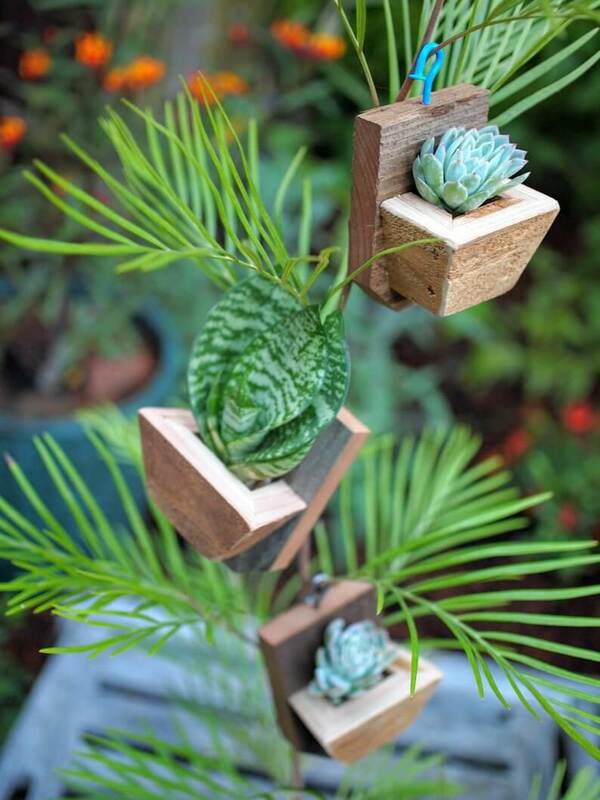 What better spot for your plants than in a box of your own design? Simply tell the seller what you want, and they will work with you to get it just right. Order a single box or, for a more impactful display, consider adding an additional box or two. 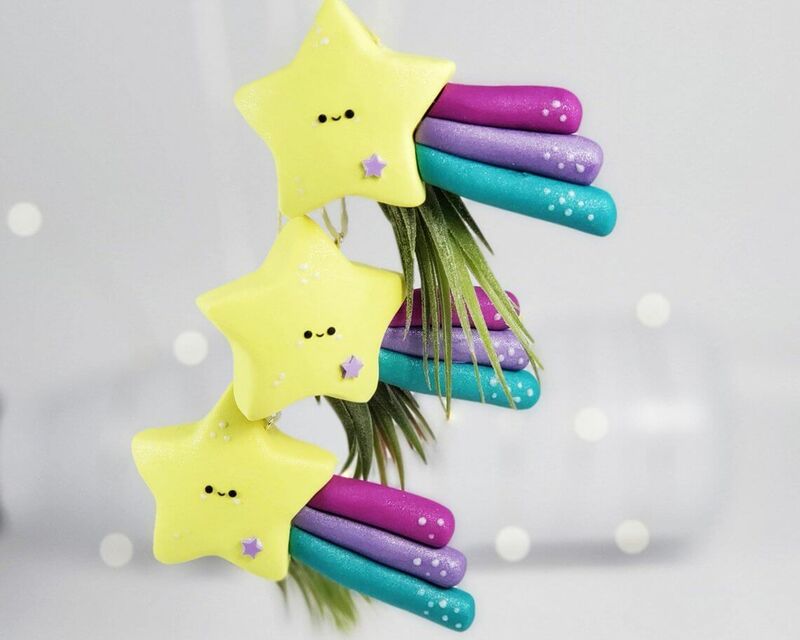 Handmade, this smiling star hangs by a thread and comes with a small succulent already attached. 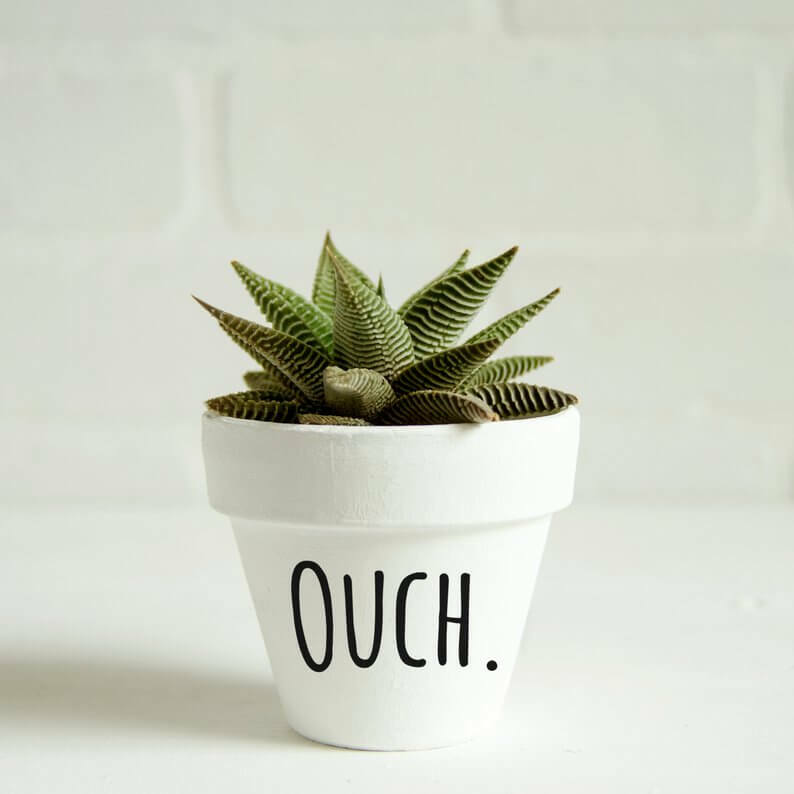 Great for your desk or even hanging from a tree, this decorative mini plant holder is sure to bring a smile to everyone’s face. If you want to go big, order several to create a meteor shower. Either way, don’t forget to make a wish. 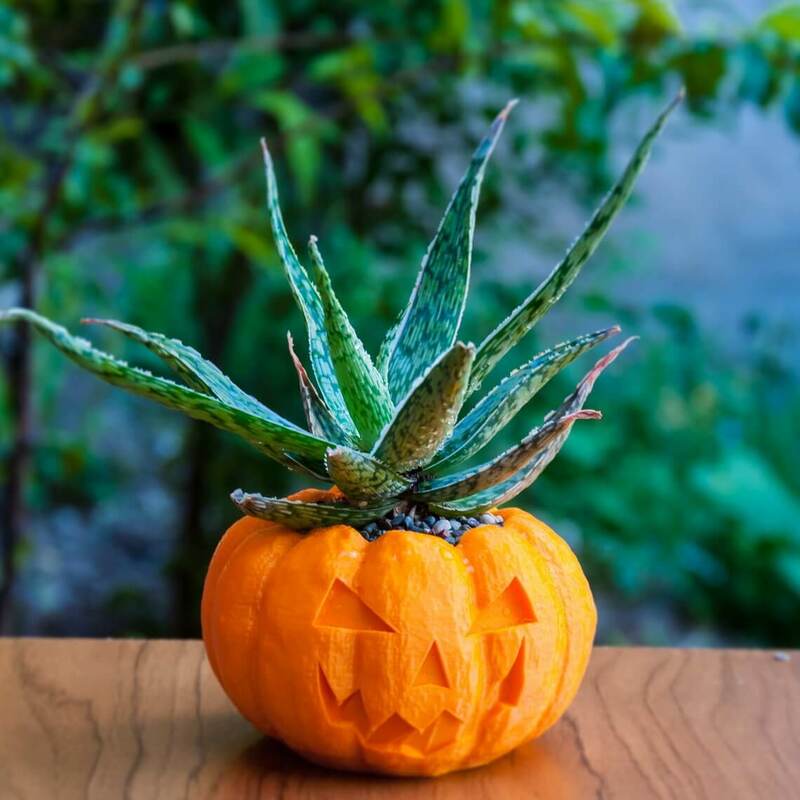 When getting into the fall spirit, why not incorporate it into your planters? These pumpkins are a great alternative to the messy real ones, and unlike the traditional gourds, these won’t rot away. Simply pick your favorite color and pop a few of these cuties around the house for a festive fall look. A perfect gift, this beautiful crystal planter comes with a lovely living air plant that perches perfectly on top of the crystal, making it look like it is growing right out of it. This attractive combination of two beautiful pieces makes for a beautiful gift for anyone. Better yet, it comes in its own special “thank you” box. 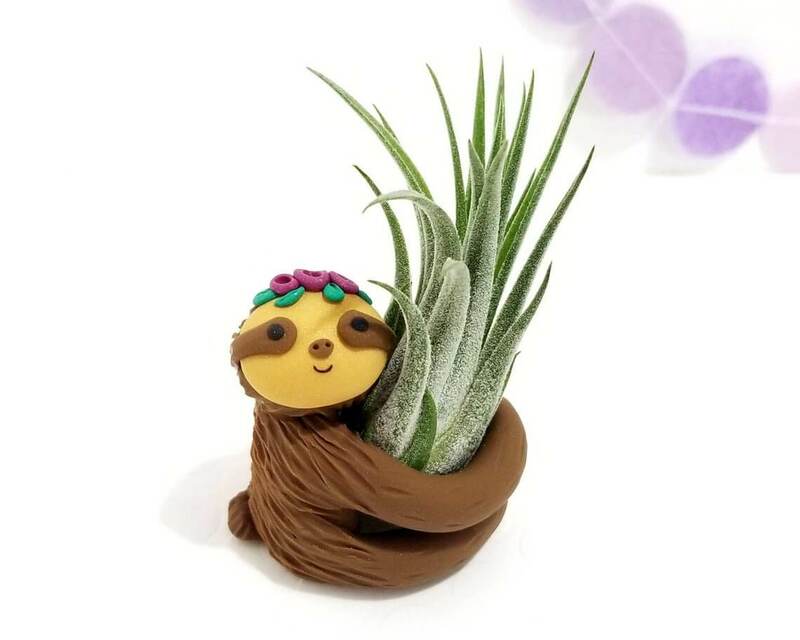 This petite hand-crafted sloth wraps its long and cuddly arms around a small air plant. The clay face is drawn into a perfect smile that will surly brighten anyone’s day. 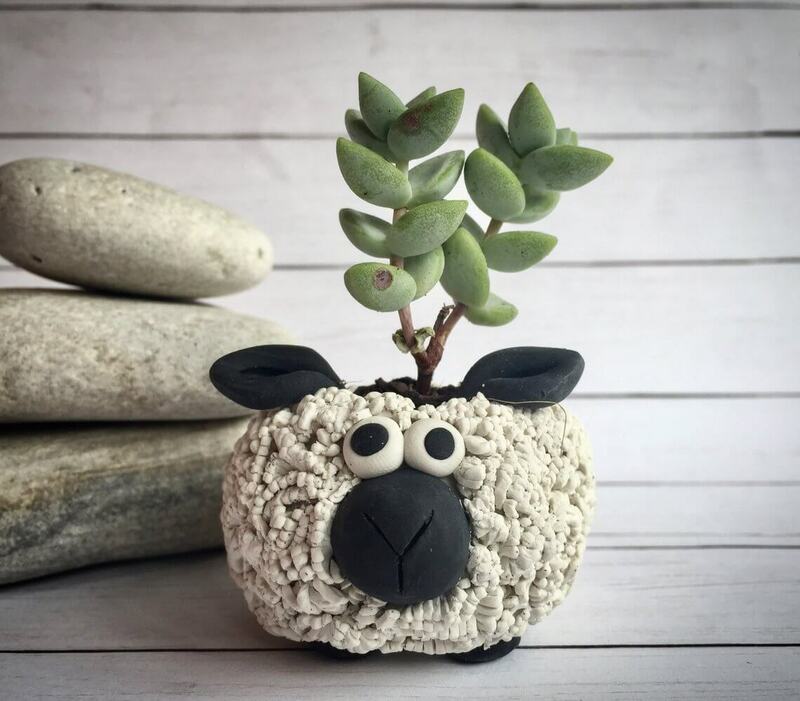 Measuring just two to three inches high, this planter is great on its own or can go with other fun little animals for a menagerie of succulents. Meticulously handmade, this perfectly crafted little pup will happily hold your favorite air plant. 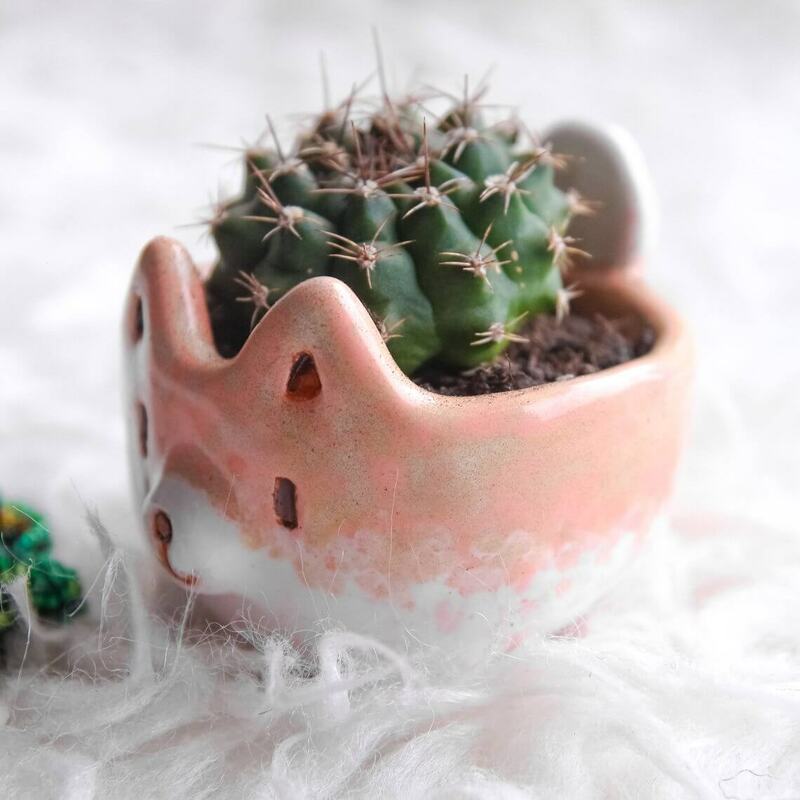 With its southwestern color scheme, a cactus is a great choice for this holder, and its high ears and tails will protect you from potential pricks. With great reviews, this planter will work well for anyone. Make your dentist proud with this beautiful and healthy tooth. 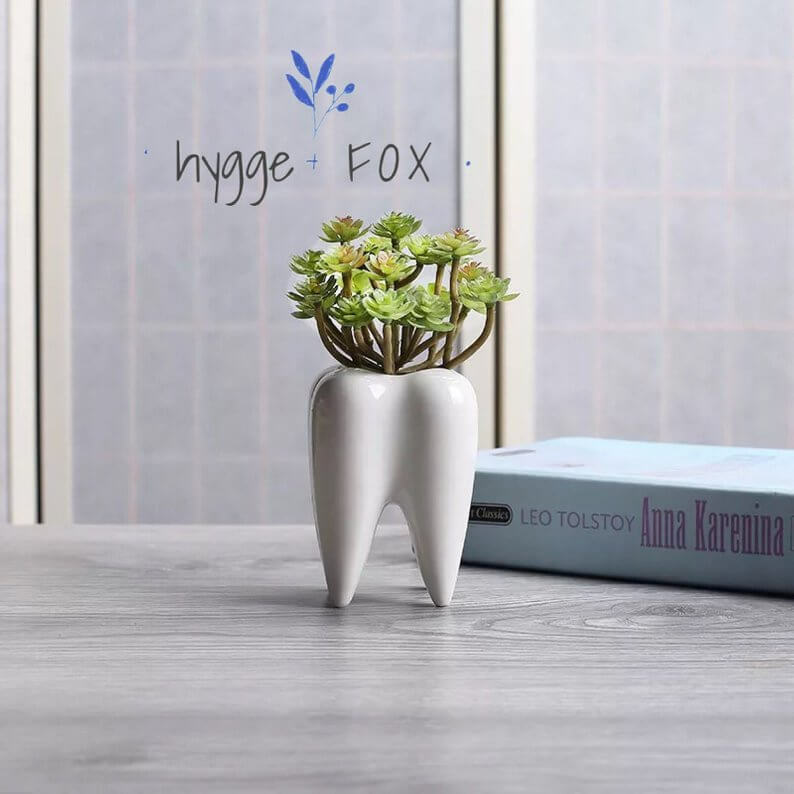 This fun and somewhat funky planter goes with an eclectic look or, of course, as a gift for your favorite dental hygienist. You can add whatever sort of plants you like, real or plastic, and they will pop against the white shine. 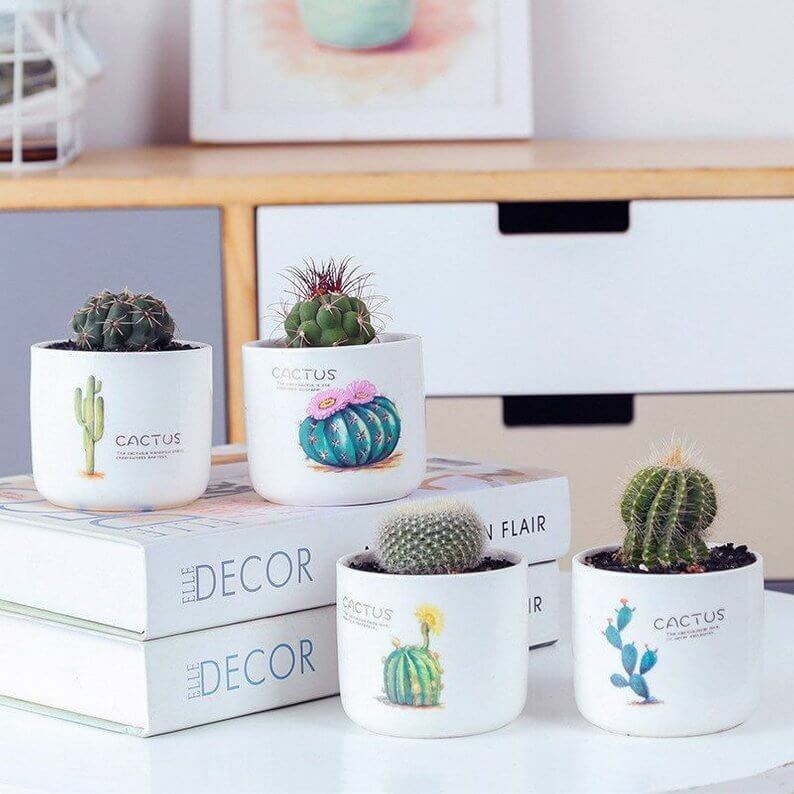 Coming in a set of four, these plants are beautifully decorated and pair perfectly with each other and with whatever plants you choose to place inside of them. With four different designs, the style of each set is varied but similar for a fun, cohesive look. Choose whichever set best fits your aesthetic, and enjoy! These two adorable springy designs have that lovely balance of bright colors and nature. With beautiful cherry blossoms on the side, you can plan whatever you like in these. 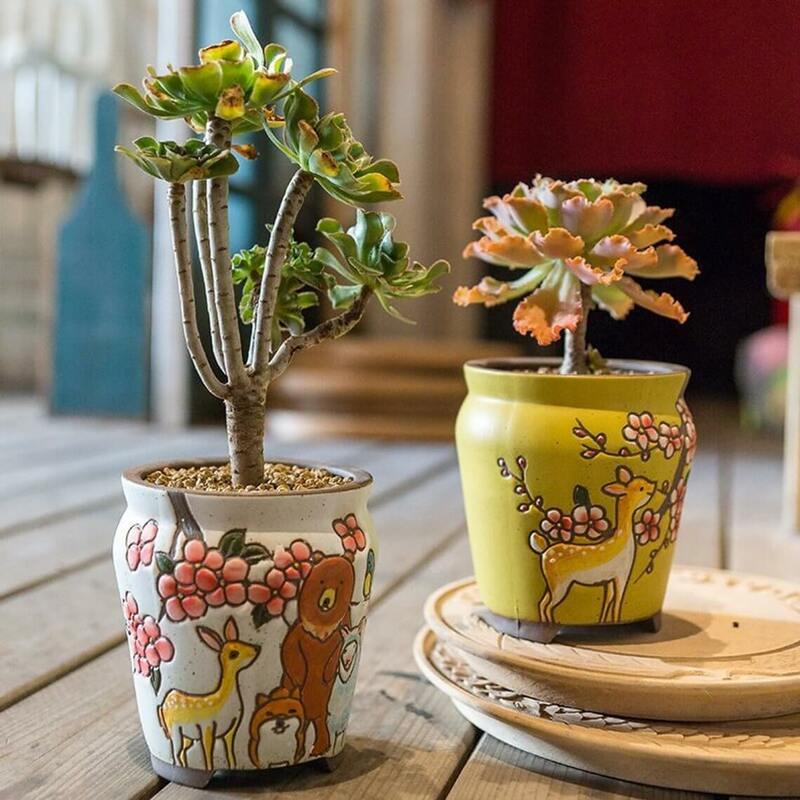 Even if the plants don’t offer much color on their own, these whimsical pots will bring them to life. 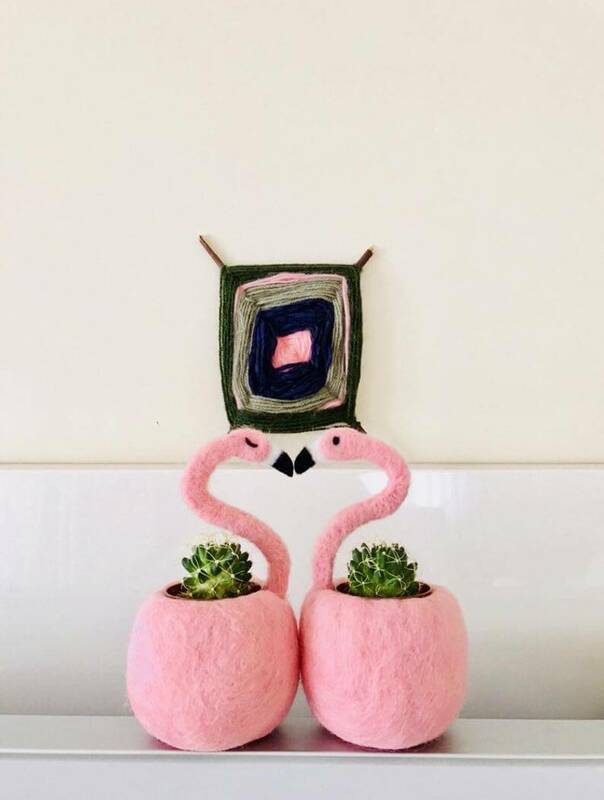 Wet felting can create amazing shapes, and these lovebirds are no exception. Place these two side by side as shown to create a heart-shaped romantic display, and then fill with either matching mini plants or two different types for more of an odd couple look. Consider these meticulously crated critters for an anniversary, engagement, or housewarming gift. Who says you have to think small to show off that succulent? 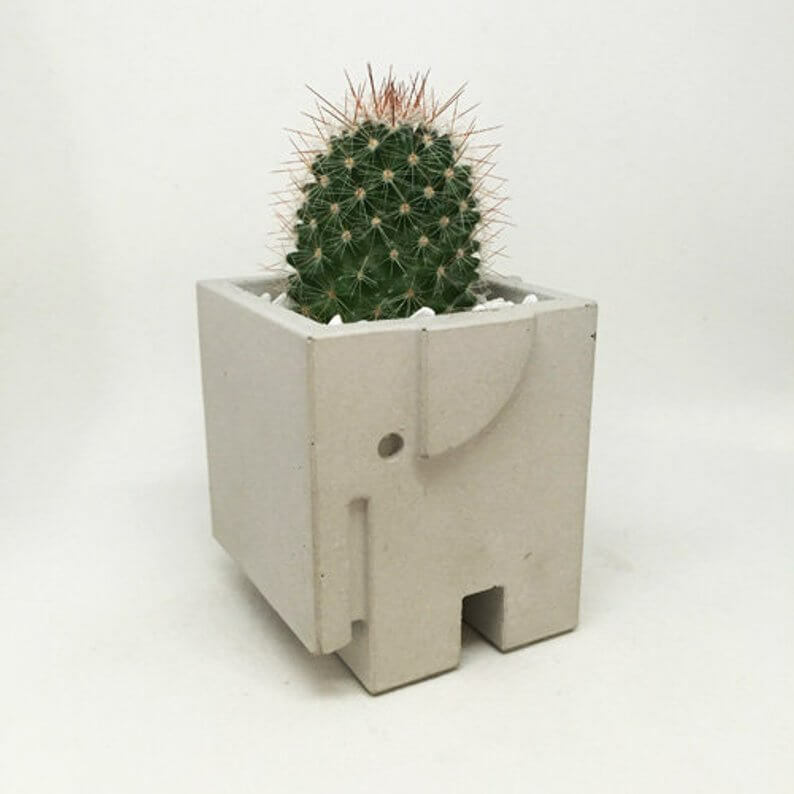 Make your plants seem larger than life with this ingenious rendering of an elephant à la planter box. Amazingly, this charming figure is made of concrete, making it plenty sturdy. Going with the elephant theme, you can bet that this planter will be unforgettable. No doubt the unillama caught your eye; it’s magical like that. 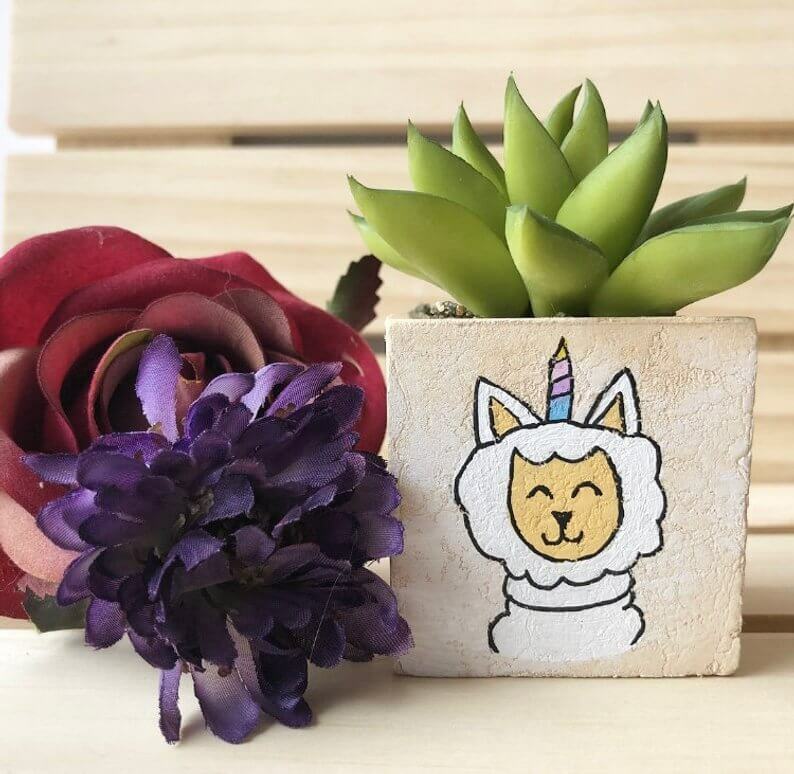 Just as magical is that you can order any kind of creature to be hand-painted on the side of this mini planter. 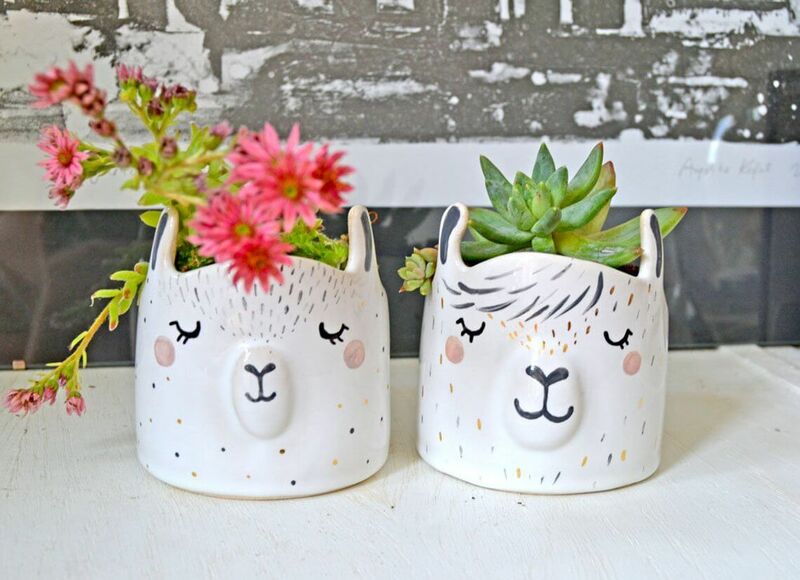 Another unique feature is that the artist supplies an artificial succulent instead of a live plant, meaning your little cactus will last as long as its animal friend on the side. 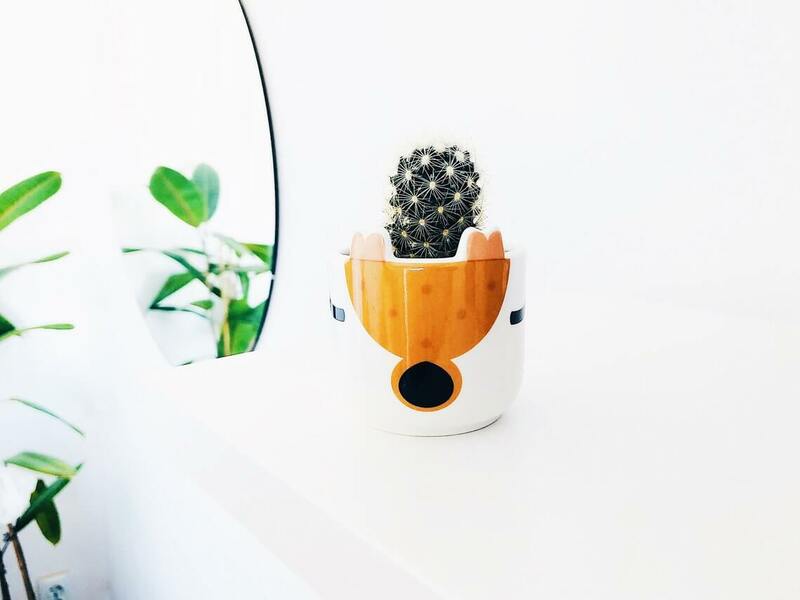 Perfect for a modern office or a bright kitchen space, this glossy-finished miniature flowerpot features the cutest four-legged friend (well, minus the four legs) you could imagine. It has the serenity of a fawn grazing in the woods, mixed with the sleepy eyes of a cartoon character. Just don’t make any loud noises – you might startle it. 19. Hoo Could Ask for Anything More? There is a wisdom that comes with plants that pairs wonderfully with the classically intelligent owl. Bringing the two together is such a smart pairing. 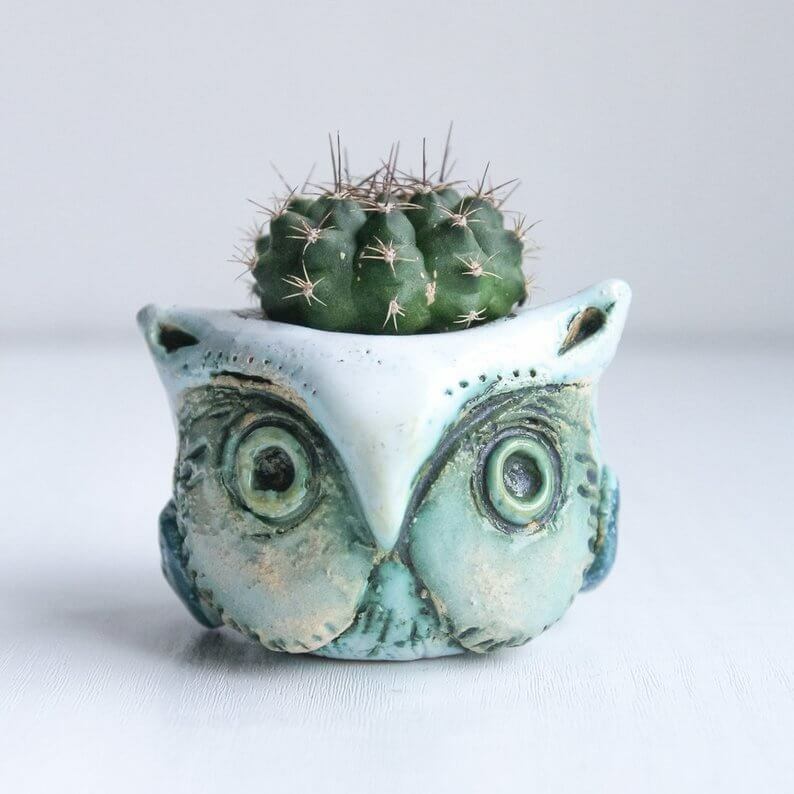 The light blueish green colors of the owl will complement any bright green air plant. Coming in at two inches tall, this bird of prey adds a touch of décor and can easily be incorporated anywhere. 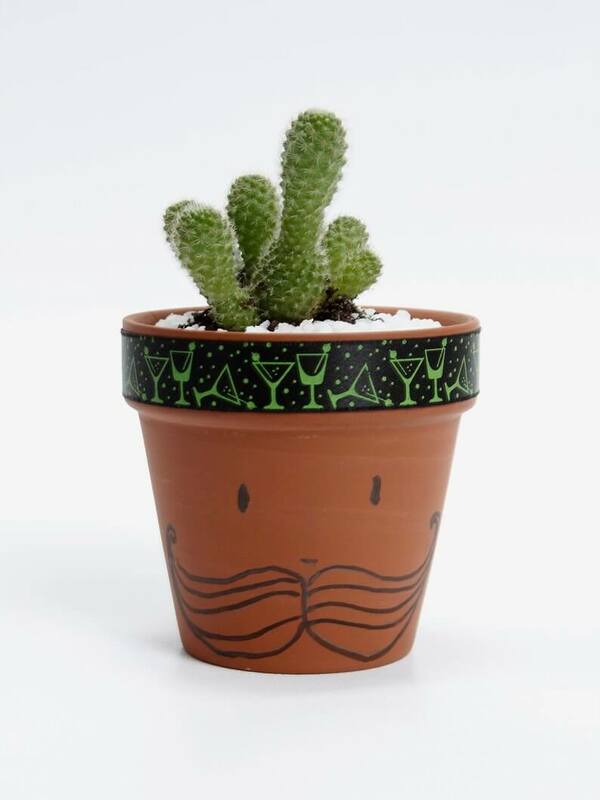 A great gift for the dog lover, this little guy looks like he takes his role as plant holder quite seriously. 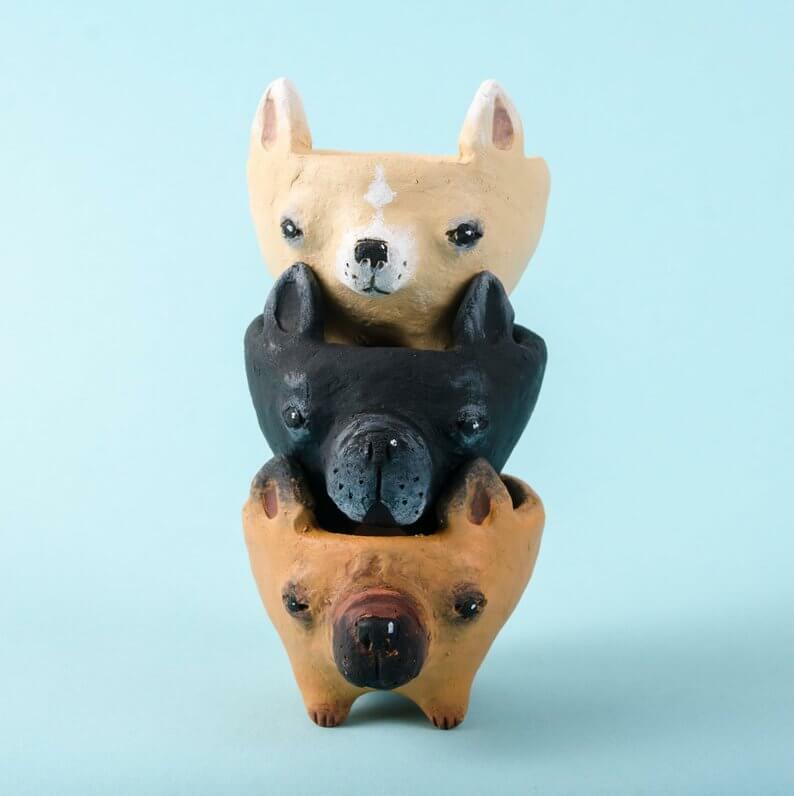 Part of a series of dog pots, you can either stick with the singular Frenchie or pair him up with some buddies for a whole collection. His black coloring makes whatever you decide to plant in him really pop. This shop offers a different take on creative pot design. Instead of being sculpted, these cuties are hand drawn with bold and expressive faces. The beautiful trim work around the rim of the pot matches each face’s personality perfectly and will help you decide which pot is right for you. Coming with a succulent, all you have to do is pick your favorite. Beautifully crafted, this tiny ceramic unicorn is a cherub-like chubby take on our favorite fairytale creature. 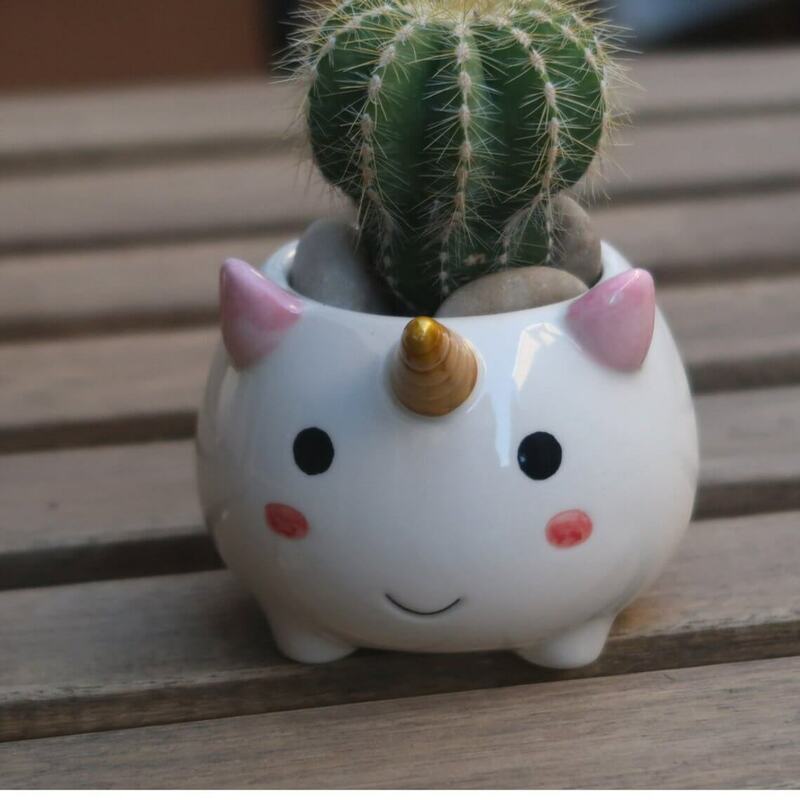 With a playful rainbow tail for a big pop of color and a metallic golden horn, this is a great gift for anyone who loves whimsical creatures and is looking for a unique place for their small potted plants. Everyone needs a little friend like this guy to encourage them throughout the day. 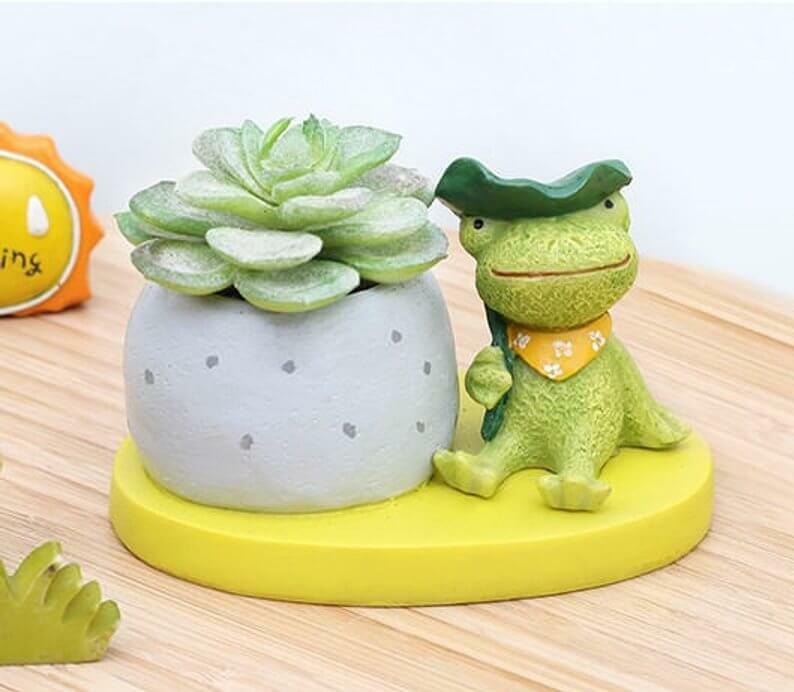 Casually keeping watch over your favorite succulent, this little frog can go anywhere; whether it’s your desk, windowsill, fairy garden, or end table, he will fit right in. Feel free to incorporate your favorite live succulent or, for an even easier option, use an artificial plant. 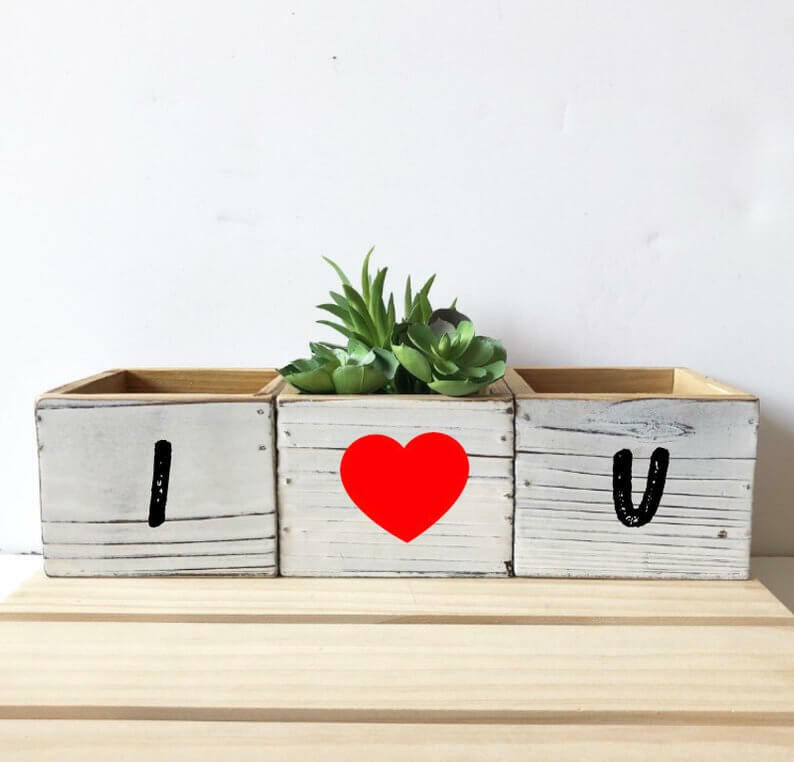 With its charming simplicity, this wooden box planter has the feel of a charming farmhouse. Very natural in appearance, you can easily pair it with whatever succulent you like. A great idea would be to get a large group of them together to create a whole hanging air garden. Consider getting different colored hooks to add variety. Plants are a great gift for anyone. They bring life and vibrancy everywhere they go, and, if you choose the right plant, they can be fairly low maintenance. 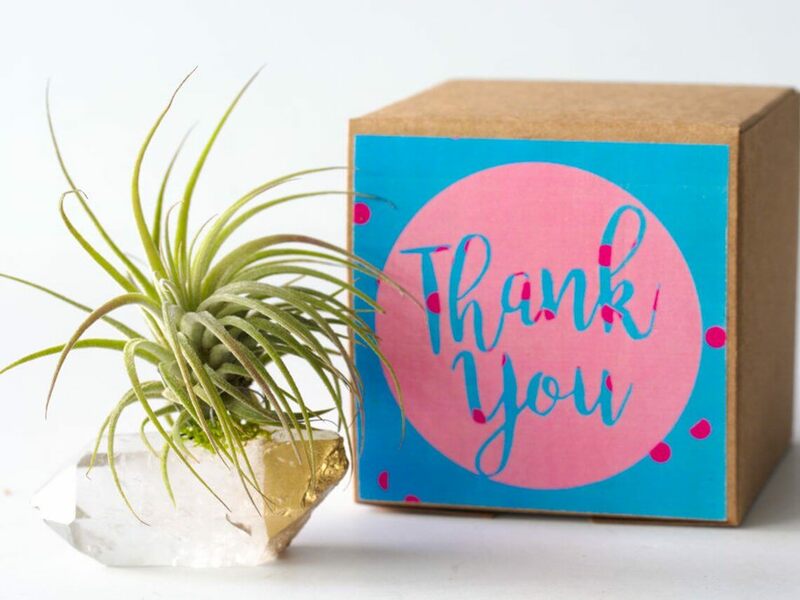 This pot eliminates the need for a card and will always remind your recipient of how grateful and appreciative you are. Simply pick your favorite colors and a plant to match. Llamas have become quite the trendy animal, and it is no surprise. With their long, elegant necks and peaceful nature, they certainly seem genial and lovely. This planter pictures a perfectly relaxed llama happily guarding whatever you decide to plant in it. The sweet touches of pink go great with desert flowers. These planters always come in a pair, and, sitting at about one inch each, are petite perfection. 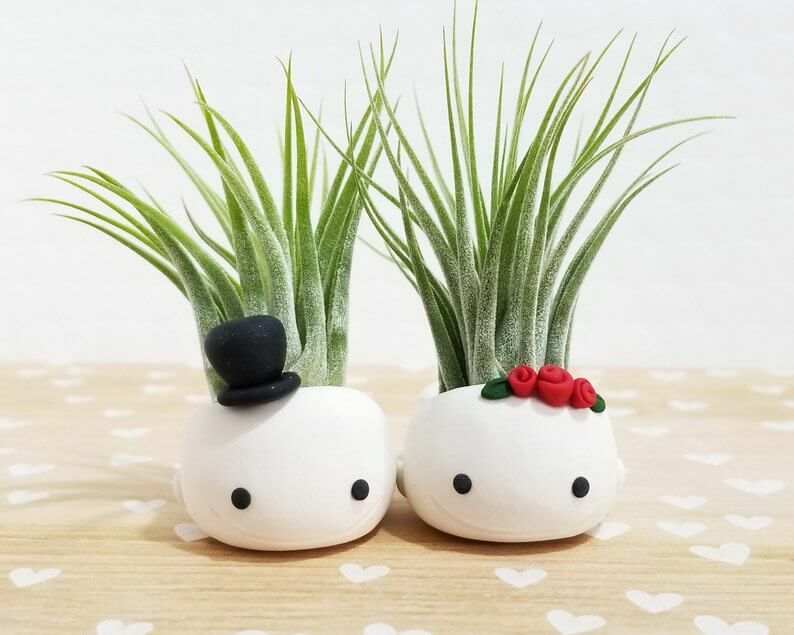 Get these as a gift for your sweetie, or consider them as a unique cake topper. You can place whatever plant you like in these, and they will always go together. The small top hat, flowers, and big grins make these something extra special. Sloths in real life do indeed move slowly, but they probably wouldn’t be still enough to hold your favorite succulent. That’s why this Etsy artist captured the dawdling creature in an adorable, slightly cartoonish ceramic likeness. 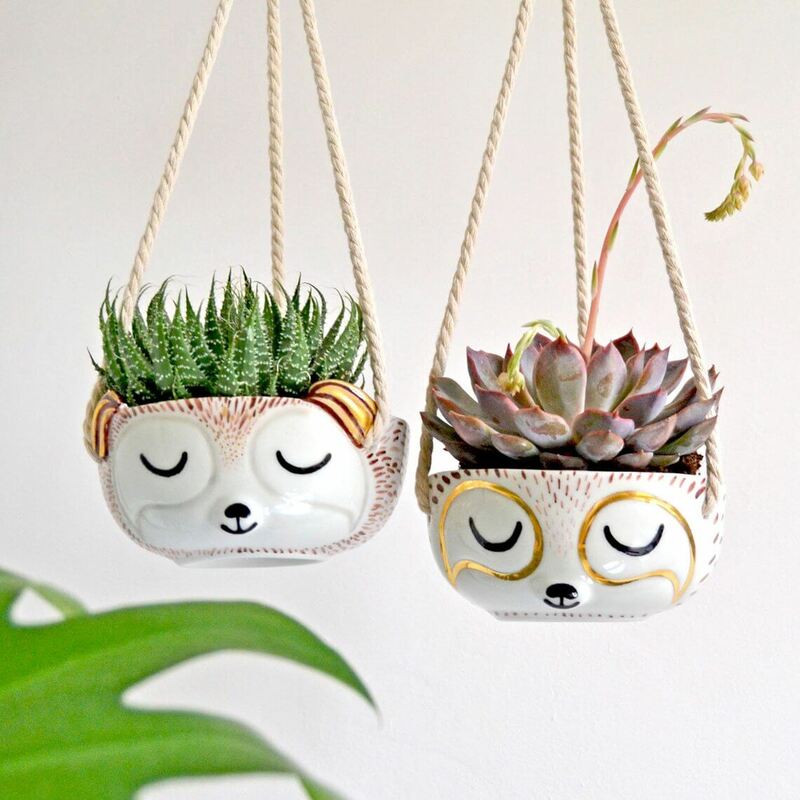 Fittingly, just like the tree-dwelling animal, this planter is upward bound, hanging from the ceiling so as to take up minimal space in your home. This item is not just a decorative planter but a craft project as well. 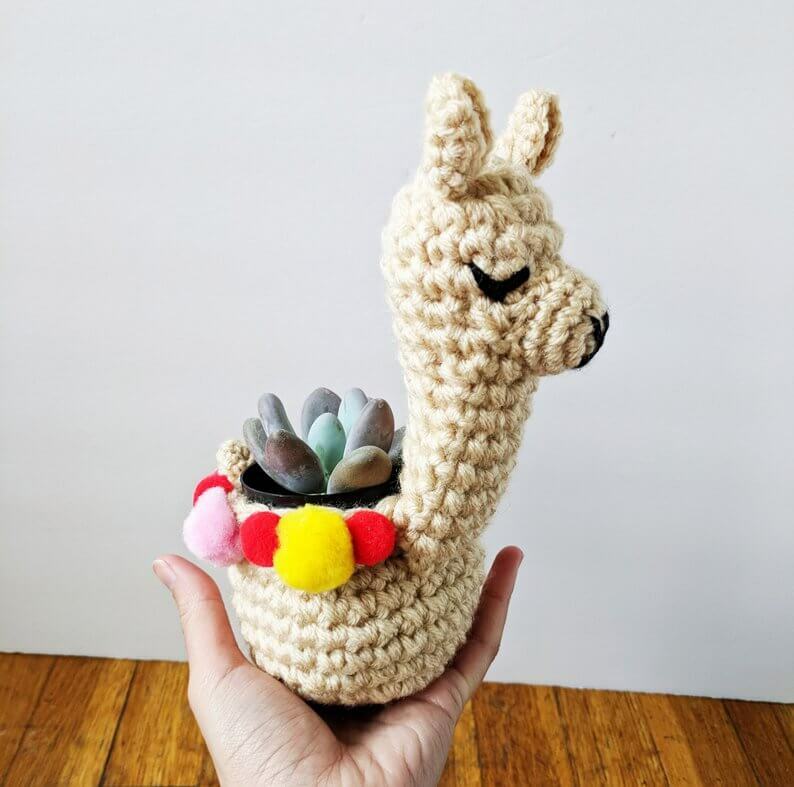 In the long run you will get to enjoy the agreeable company of a tiny llama friend, but first you’ll need yarn, a 6mm crochet hook, and some pom poms to bring this pattern to life. Happy crafting! Crocheted works are just so cozy. Nothing will keep your delicate succulent safe and warm like the snug fit of a crocheted sleeve. Add to that handmade charm the precious smile of a pink unicorn, and your cactus’s cuteness will go off the charts. Place this piece in your living room or bedroom for a playful look. 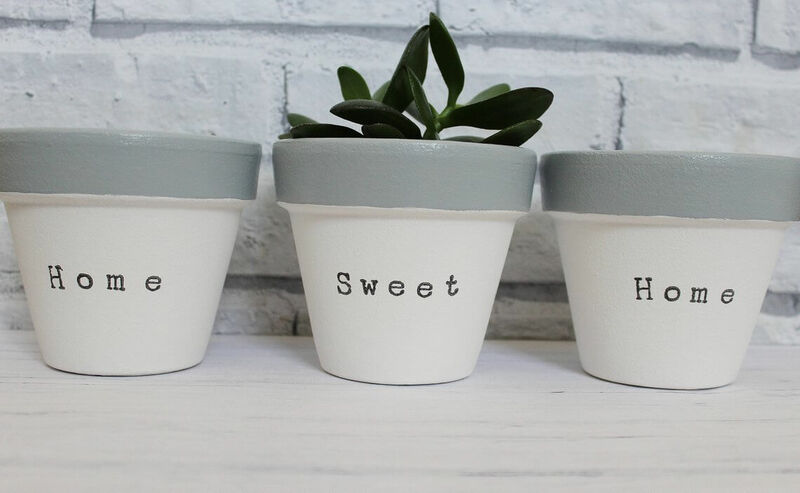 Ideal for the entryway or back porch, this set of three planters gives you many options for mixing and matching succulents of different colors, shape, and height. 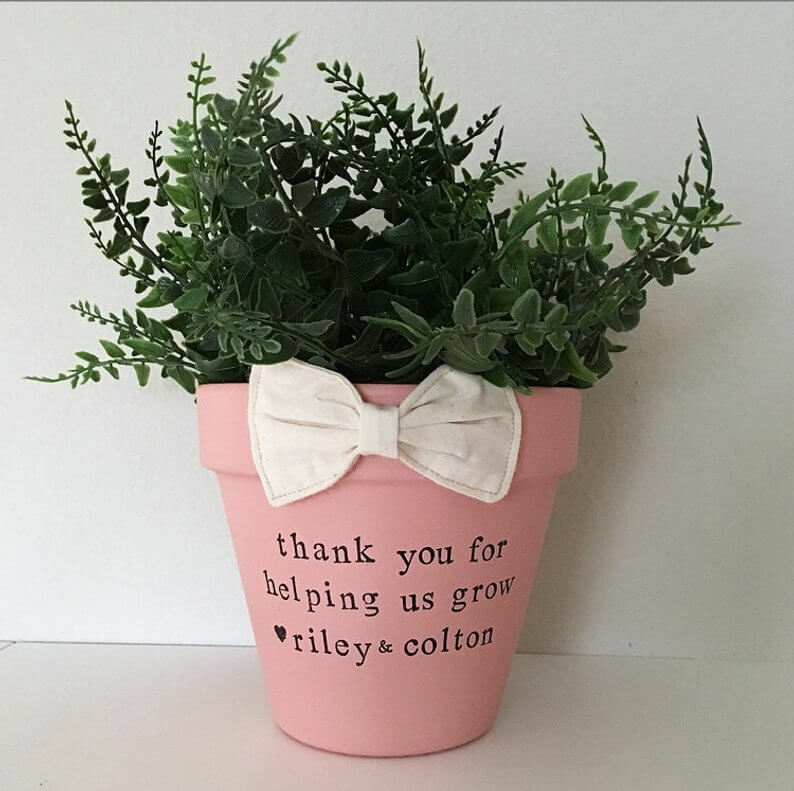 Even better, you can select slightly larger pots (up to 6 inches tall) and different sets of words (4 options total) if you want to play with other flowers or choose another message. Were it a retriever, lab, or poodle, you would get one measly planter. Thanks to our elongated friend the dachshund, this planter fits three separate plants so that you can mix and match your succulents along his canine body. 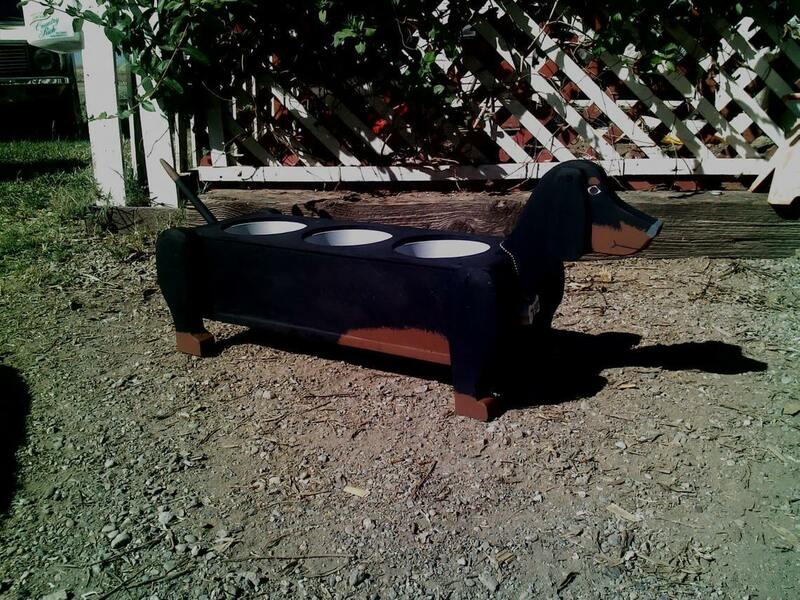 Perfect for the dog-lover, this unique item is well suited for a front yard or garden. You might say that some planters have personality, but this one truly has character – one particular character, in fact. With beady eyes and an oversized mustache, Mr. Belvedere, as he is named, makes for one handsome pot. With a band of cocktail glasses floating over his head, this planter will go great on the kitchen counter or at-home bar. 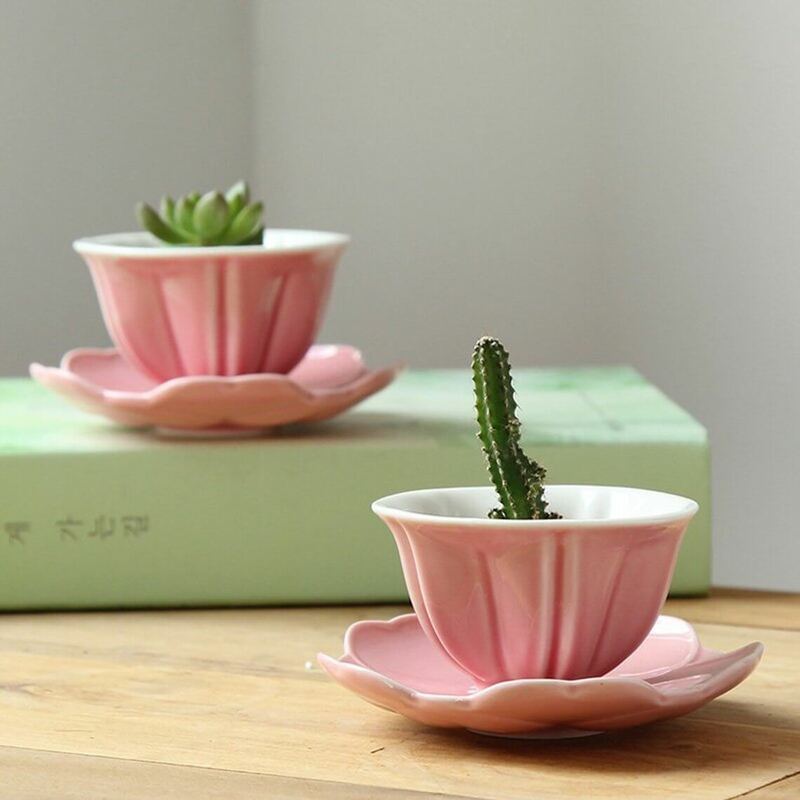 This prim and proper set of two teacups serves as a most exquisite succulent holder. The pink teacups sit atop petite saucers featuring five petals and a beautiful center. Looking like something out of Alice in Wonderland, this set would make a charming addition to your typical tea party décor. 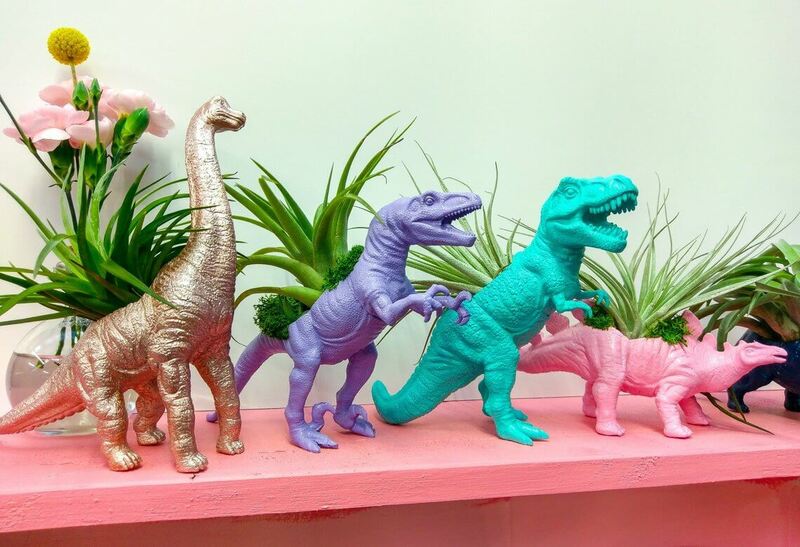 This unconventional take on succulent pots embraces the ‘80s, with big, bold colors and every child’s favorite giant lizard: the ever-popular dinosaur. It’s not too often that you select the “Style” dropdown on Etsy and get to choose from stegosaurus, brachiosaurus, and T-Rex (among others). Display this in your office, and it’ll be sure to be a conversation starter. With a classic hand-crafted feel, this round ceramic planter embraces the Outback in color and design. The piece features a cuddly koala with outstretched arms and a big smile, along with a few springs of greenery. This planter is unique and, with its dusty coloring, works great for air plants. 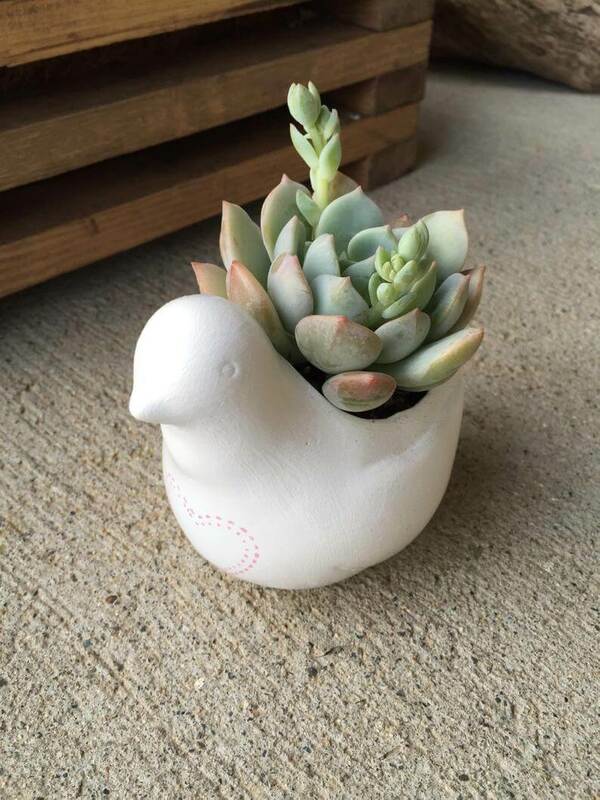 Embellish this lovely ceramic bird design by choosing either a heart, flower, or vine stencil, or opt for no stencil at all to emphasize the planter’s beautiful shape. Note that no drainage hole is included unless specially requested, so either ask the artist for that extra feature or plan to use a forever plant. 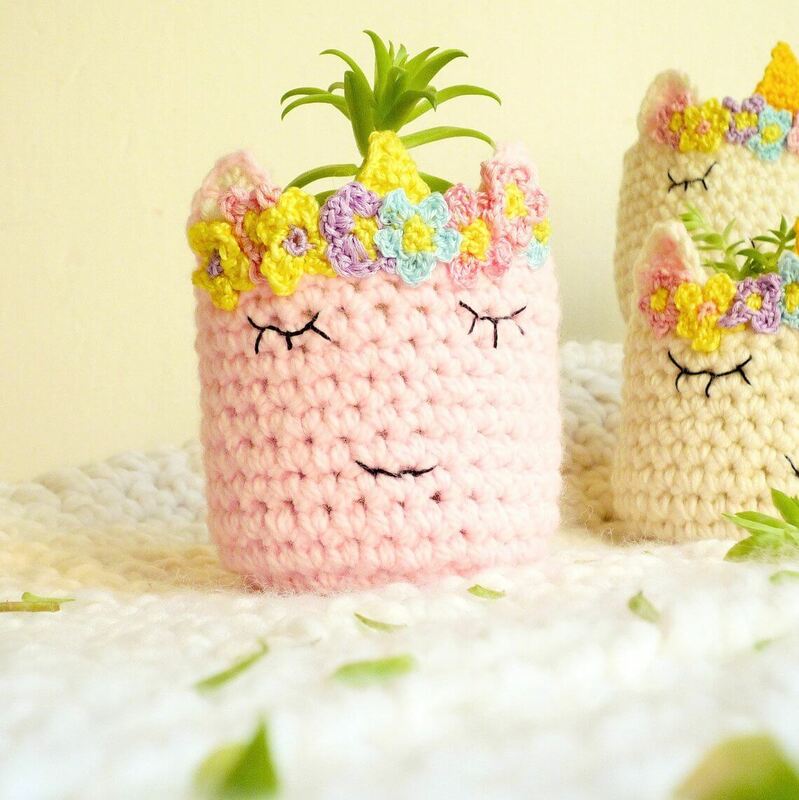 With planter ideas that embrace everything from medium-sized thank you pots to teeny tiny llamas, you will see that on Etsy you can find any sort of planter that you could ever want. Primarily focused on adorable petite creatures, these options are cute, fun, and functional. Some of the designs come with plants, but others leave that option up to you. Be sure to consider the size of the planter and the plant that you want to display and also think about how many individual pots you would like. Have fun with these eclectic offerings and enjoy your new indoor garden!